It’s no secret that I love photography. In fact, I am a lifelong learner when it comes to photography. This beautiful art has some fantastic monetary benefits if you follow the right strategies. I absolutely loved researching and writing this post for obvious reasons. 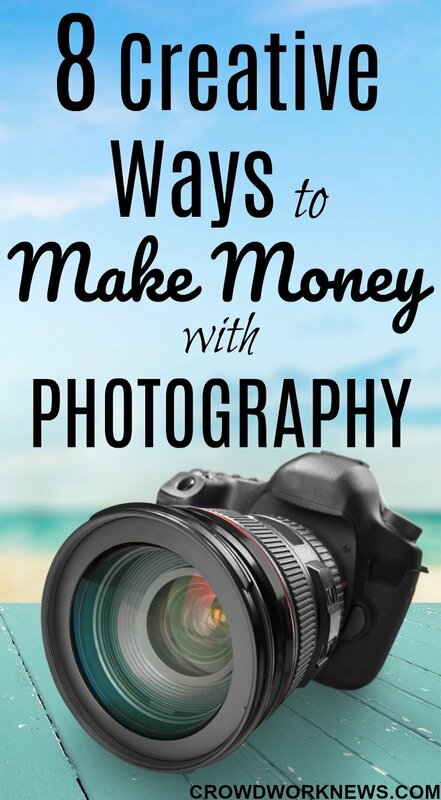 If you are someone who wants to get into photography to monetize this passion or have an innate love for this art, then you need to read this post to find out how to make money from photography. Before we get into the post, there are some things which are the absolute necessities for a photographer. No, I am not talking about having a super expensive camera or a $5,000 lens. The first and probably the most important skill to make money from photography is having a good knowledge of the taking photos. This, in my opinion, can be done completely by self-learning. If you want to explore and learn about every aspect of photography, then you can turn to Creativelive or Skillshare. They have great courses on all genres of photography. Having a basic camera set up (no expensive stuff) is also a definite need. I know many photographers who have very minimalistic photography set up and yet they earn a lot. So, the key is in the technique. Of course, you need a base model camera, good lens (depending on your niche) and things like tripods, remotes, filters, etc. So, now let’s get into the real ways of making money from photography. This is the traditional and most reliable way to earn money from your photography. If this is the path you want to take, then focus on taking high-resolution photos, invest in getting them developed with a good service and start promoting them. You can look at displaying your photos in art galleries, local councils but the best way would be to promote your prints on your website. This way your clients can order your copies directly from your site, and it also helps in spreading the word. Use websites like Imagekind and Etsy to start selling your prints. If you have observed the photography niche for some time, you must know the importance of promoting yourself on Instagram. This social media platform has given a HUGE chance for many photographers to collaborate and make money from their art. You can create a profile on Instagram and post your photos, and depending on the niche you collaborate with related brands. There is another advantage with this social platform if you love traveling and photography (like me!). You can showcase your unique photos and land sponsored trips. Please keep in mind as any other method; it takes time to grow and build an audience on this platform. These days you might come across many online photography workshops or classes. This is another way to teach the skills that you have and share the talent. There are two ways you can do this; you can either teach online classes on websites like Skillshare and CreativeLive. This is a more straightforward process because everything will be online. It is also a very passive way of earning. Another way is to have live workshops. For example, in landscape photography, you can have a workshop in a particular travel destination and teach your students about all the nuances of landscape photography giving them a lot of practice. As mentioned above, you can create courses on platforms like CreativeLive and Udemy on different aspects of photography. Majority of photography enthusiasts prefer to learn everything about this art online, so there lies your chance to teach your skills through online courses. Online courses are a huge hit in every niche now, and creative photography courses can give you a lot of passive income. Platforms like Teachable are also much used to create online courses for photography. This is another way of making money from photography. No matter which type of photography you like, you can do live photography shoots. Wedding photography, Newborn photography, Fashion photography, Food photography, Family photography are some of the most fetching genres of photography. Like every form of photography, doing photo shoots does take time. You need to promote yourself to do this with a blog or website to get exposure. Probably the easiest way to earn money with your photos would be to sell your stock photos on websites like Alamy, Shutterstock, SmugMug, iStockphoto, Fotolia, etc. Though the money you can earn from this might be less, it can increase over time as you submit more photos. If you find this to be perfect to get started, here is a post about places to sell your photos online. Please keep in mind most of these websites take a percentage of profits from the photos that get sold. All the above ways to make money online from photography need you to promote yourself first. And starting a blog or website is the best way to do it. Having a site to showcase and promote your work can give you a lot of exposure to reach your clients. Having a website can be very convenient for displaying your own courses, prints and having a shop of your own. As the name suggests, commercial photography is something you do for brands, magazines, adverts, etc. If you specialize in this type of photography, then the money-making potential is infinite. There are loads of brands and digital marketing outlets which need professional commercial photographers. The work might involve taking photos of food, buildings, people, interiors, etc. If you work hard and collaborate with the right brands, you can earn a good income as a commercial photographer. Depending on the niche and genre of photography, you have many chances to diversify and earn money from your art. Before you do anything first improve your skills and learn, this is the necessary step to earn money from photography. Hope this post helped you find some unique ways to earn money as a photographer.